State Qualifier Double Point race: Sunday July 31, 2016 which is $25. Gold Cup Qualifier Triple Point race: Saturday July 30, 2016 which is $35. We love cash but we can also accept checks and credit cards. Can I pre register online for racing? 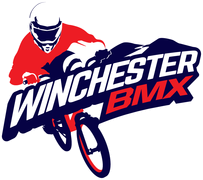 You can pre sign (the BMX term for "pre register") online for our large races this year by clicking here. Everyone must be a member of USA BMX in order to be allowed on the track during sanctioned practice, clinic and racing times. Valid at any sanctioned track. For practice and single-points races only. No points will be awarded. For use with Strider style bikes. One-year subscription to PULL magazine. Temporary numberplate, official rule book, and New Rider Manual(can be picked up at local track). Read the Rulebook! It is available online here. There are a few pretty big changes this year and you should be familiar with all the changes. Feel free to ask us at the track if you have ANY questions about the rules.